of opposition city lawmaker Fernando Albán, October 18, 2018. Source: www.puntodecorte.com. Following social unrest and protests in early 2017, Venezuelans began to lose hope. Then, in May 2017, Nicolás Maduro’s regime called to establish a new Constituent Assembly through elections, which the opposition and 40 countries ultimately claimed were a fraud. This new Constituent Assembly, made up of Maduro supporters, was supposed to draft a new constitution. In July that year, the opposition organized a citizen-led referendum—perhaps the biggest nonviolent demonstration in the history of the country—during which almost 8 million people (about 40 percent of the electorate) voted against Maduro’s proposal to set up the Constituent Assembly. Nevertheless, Maduro’s regime, through mechanisms of social control and violence, imposed the Assembly and suppressed massive demonstrations and marches. 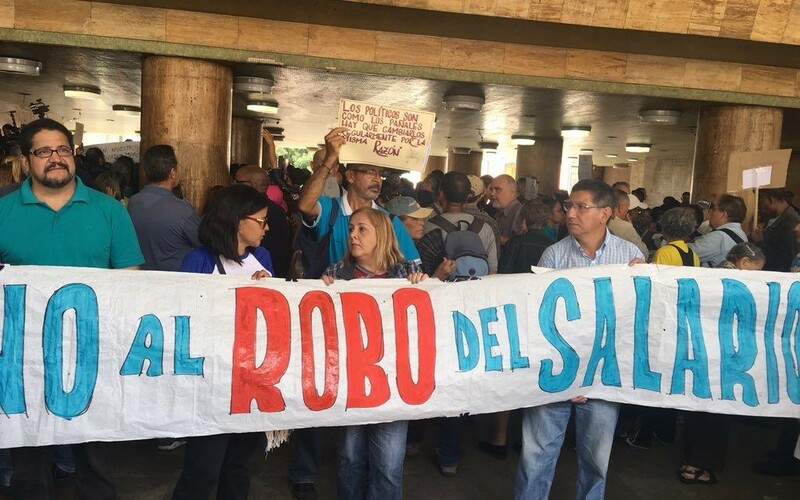 As 2018 unfolded, several protests re-emerged throughout Venezuela. Labor unions, mainly from the public health sector, were behind them. Soon, pensioners and retirees began protesting for their rights, as did students and professionals of various industries. These nonviolent actions were small, isolated from each other, and largely ignored by the media. Launching the National Conflict Platform in the Aula Magna auditorium at the Central University of Venezuela, September 24, 2018. Source: www.digaloahidigital.com. As part of the initial group of PNC leaders, I participated in drafting a manifesto that outlined our objectives: to contribute to political change in Venezuela through targeted social mobilization. Our method: nonviolent action, specifically geared toward building participation and structure for a sustained national strike. A few of us presented this manifesto in the Aula Magna auditorium of the Central University of Venezuela, in the presence of some 2,700 people from a wide range of industries and all regions of the country. Launching the platform helped awaken Venezuelans who either demobilized due to protest fatigue or state violence, or were yet to join the resistance. It also generated confidence that resistance would focus on the socio-economic plight of all Venezuelans. As we envisaged it, uniting industries would amplify the movement’s reach. The first street action of the new coalition was a protest in front of the Ministry of Labor to demand fair pay. 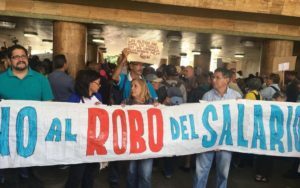 It was the first time since 2014 that a large opposition group protested in front of a ministry in Caracas, the capital. Moreover, this first day, protests also raged at the local labor inspection headquarters in 15 out of 24 states in the country. Following a successful initial mobilization, we faced the challenge of organizing a nation-wide movement while keeping intact our vision, unity, nonviolent discipline, and strategic goals. We held weekly (and sometimes twice weekly) meetings to evaluate our past actions and their impacts, as well as situations that local leaders in other regions were communicating to us. We alternated issues of focus each week to ensure inclusivity. We constantly conducted outreach to include more professional and civic groups in the platform. This involved organizing meetings with leaders of other grassroots organizations that did not participate in the September 2018 launch but wanted to be part of the PNC platform. Gathering with signs and chants, blocking streets, and engaging in marches were our main tactics as we protested the deplorable state of healthcare, education, and basic services (water, electricity, domestic gas, trash collection, etc.). Soon, public workers joined our actions—metro workers, Ministry of Foreign Affairs employees, and others. We reiterated that the idea was not to erase the identity of each organization or professional group that participated in the platform, but instead to coordinate all of them and establish a common agenda—and thus, vision. The new year, 2019, began on a note of uncertainty. In early January, opposition politician Juan Guaidó was appointed president of the National Assembly. Later that month, Guaidó invoked Venezuela’s constitution and declared himself interim president, with his subsequent recognition by some 60 countries. Guaidó soon began re-organizing opposition parties and mobilizing civil society. The PNC played a major role in these efforts because of its already-existing structure and experience in mobilizing people. Massive protests started again. This time, unions, student movements, and grassroots organizations all have taken part in planning protests and street actions across the country. This mobilization is ongoing as of publication of this blog post and it is too early to assess the strategic impact of this particular phase of resistance. How do we know we are making a difference? One year ago, the Venezuelan people were disheartened and apathetic. Since then, we have built the foundations of a broad-based opposition to the regime—and one with a powerful, peaceful, and organized agenda for pushing for change. What’s more, the PNC membership continues to grow. What are our benchmarks for success? The first is that our leadership comes directly from the grassroots. The second is that we strive to demonstrate our commitment to organizing and unifying diverse groups of people—even in the context of despair. Third, our commitment to nonviolent discipline is unwavering. We hope that our grassroots-centered approach and focus on unity and nonviolent actions will help us keep the struggle alive. Hasler Iglesias is a 27-year-old Venezuelan engineer, activist, and leader of the Voluntad Popular party. 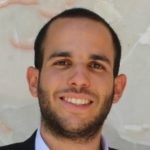 He is an alum of the ICNC Latin America Regional Institute (2018) and ICNC-Rutgers Course (fall 2018).